Bringing you dead canines and lollipops is Deeno from MadDinoAsylum and me in another fun madcap! AGB Nielson Nationwide had episode 6 coming in at 16.6% as compared to episode 5′ 16.2%. …and it turns out this is a fantasy she’s telling Master Joong-won. HAHAHAHA. She asks Joong-won if it’ll come true and he says it probably won’t come true. She tells him about a crazy guy at the hospital who said he was abducted by aliens even found someone to marry. Gong-shil felt like they’d gotten close and told him she saw ghosts, and alien man called her crazy. Heh. Master mocks her and says she should’ve gone with alien man and gotten abducted so she wouldn’t be here to bother him now. Oh, I love how cranky he is. Hehe. She takes him seriously and says aliens could exist if ghosts do. It pisses him off. But she innocently asks if Kang Woo will listen to her like Master does. That gives him pause. 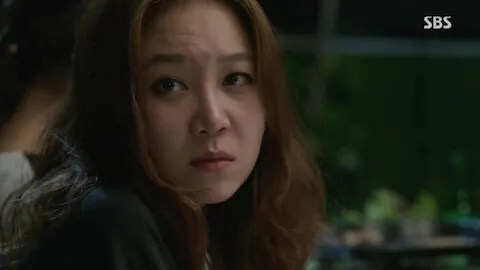 She wants to make good use of her opportunity with Kang Woo and Master gives her solid advice: find out how Kang Woo feels about ghosts before telling him she can see them. Aw, Master! You’re actually helping. 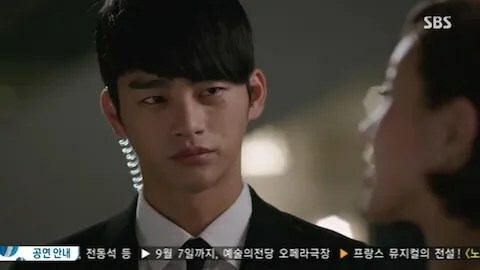 He tells her to talk with Kang Woo after she’s told him about her radar powers. Then he kicks her out and complains that she actually listens to him right away. Only she doesn’t. She turns around two more times to thank him and to ask why he’s listening to headphones. He pretends to be annoyed, but we all know he likes it. Deeno: He’s getting use to her. What is he going to do when she’s not around? I imagine him counting gold coins. Raine: I imagine him talking to his imaginary friends. Deeno: I imagine his imaginary friends would shun him. Raine: He’d have to bribe them to keep playing with him. Do imaginary friends accept gold coins as bribes? Deeno: He wouldn’t give them real gold. Too cheap. He’d give them gold foil wrapped chocolates. Deeno: You don’t charge much for friendship. Raine: When Gong-shil heads home, Sneaky decides to jump out and scare her. He gets beat by her bag and she runs away. Hehe. Then Sneaky, coffee shop girl, Kang Woo and Uncle’s secretary all have samgyeopsal on the roof. They talk about how scared Gong-shil was and the topic of ghosts come up. 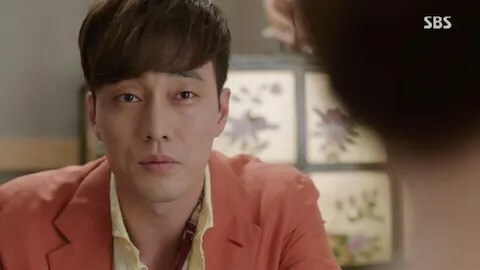 Everyone jumps onto the dinner topic, but Kang Woo doesn’t seem happy. If fact, he grows quiet and starts viciously chewing his food the most the ghost talk continues. 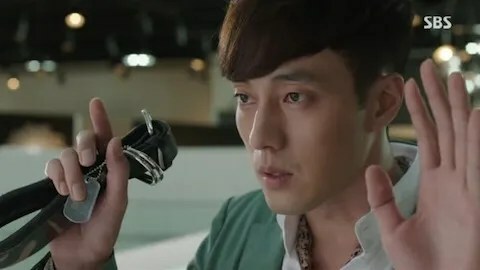 Uncle’s secretary calls Uncle to tell him that Gong-shil lives in the same building and Kang Woo, which makes Uncle think Master loves Yi-ryung. Cut to Yi-ryung talking about her assets, y’know, her tall buildings…hehe. Okay, I had to. Aunt and Master are impressed by her assets. Deeno: I kinda spaced out during this scene. Raine: I had to recap it…so I paid attention. 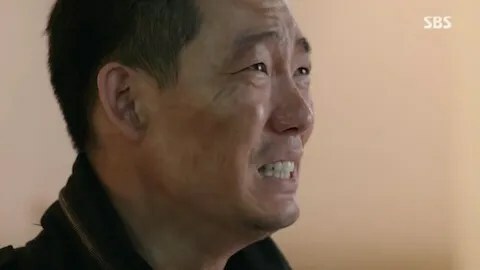 I love how Master is totally unlike any other K-drama hero. He’s all about the blind dates. Deeno: It’s better than people thinking he’s still pining for his first love, but it is refreshing that he sees it as a way to increase his wealth and that is actually a good thing to him. Raine: I also like that he’s not really pining for his first love but that she’s haunting him. Hehe. 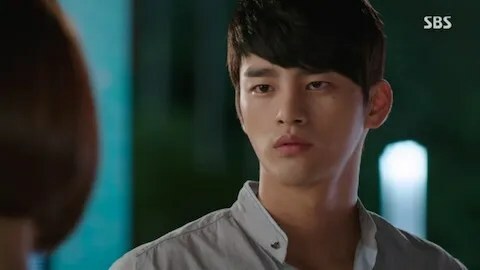 Raine: Ghost talk continues and Gong-shil asks Kang Woo what he thinks of the stories and he gets teased by Sneaky for being scared. Gong-shil says the ghosts are there and Kang Woo blows up. He wants them to stop. He hates ghost stories and people who scare people with ghost stories. He stalks away and coffee shop friend tells Gong-shil not to tell her secret. Deeno: Does he have a ghostly backstory? Or a fake ghost backstory. I hope it’s something completely ridiculous. Like some lollipopped little girl chasing him around and getting so sticky that she picks up all sort of dirts and bugs. Raine: I think you need to leave the lollipops out of that scenario. I don’t want them ruined for me. Raine: Are we roasting the girl like a marshmallow? Raine: Yi-ryung asks if Master is uncomfortable with her around because of Gong-shil. Then she starts bashing Gong-shil by saying that she’s gone nuts. Master cuts her off and asks if her purpose in coming was to fillet Gong-shil. He changes the subject back to her impressive assets. Uncle is just leaving the mall and hears a whistling coming from Gong-shil’s office. He creeps closer and sees red eyes and BIG TEETH! He, like the idiot he is, approaches Gong-shil’s “gwi-shil” (ghost room) and gets himself bitten by a crazy dog ghost! HAHAHA. Is it the Hound of Baskervilles? They play some variant on Night on Bald Mountain, too! Deeno: Dogs are good at whistling. Raine: This scene made me laugh. And here I’d thought they’d gotten better about the ghost scenes. Deeno: I don’t think they’ll get it right. Raine: They’ll need to hire Stephen King and Tim Burton. Raine: Aunt, Master and Uncle gather in the office so Uncle can complain about being bitten. Kang Woo sends the troops out into the mall to search for hound and Gong-shil is asked to search her office. Master comes to check on her and smells the grilled meat in her hair and she explains she was eating meat with Kang Woo. Somehow meat leads to lollipops and she finds that Kang Woo’s lollipop is broken – Master smirks. HA! You so petty! I loves it. Deeno: But it’s not just any old lollipop. It’s a lollipop of doom! Capable of stealing your sweet tooth and turn you into a vegetable eating monster. Raine: NOT VEGETABLES! AAAAH! But he’s Korean…he eats vegetables for everything. I suppose that’s only horrible for broccoli-hating me. Deeno: Broccoli is good. Beans are not. Raine: Broccoli is evil. It’s name even looks like a virus name. Broc.coli. It will eat you from the inside out. Deeno: I think broccoli is a nerdy vegetable. It would definitely wear glasses. It may even shush you in the library. Raine: Master finds a dog collar with the name “Pil-seung” on it. Yi-ryung reports the findings of her dinner with Master to Kang Woo and says Master doesn’t seems particularly interested in Gong-shil. 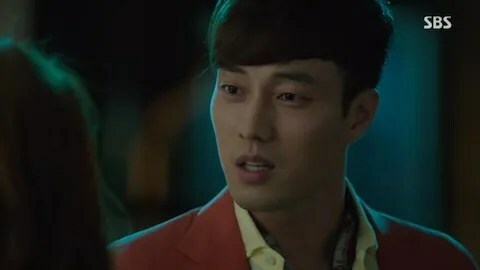 Yi-ryung is curious about Kang Woo’s interest in the relationship and she guesses he likes Gong-shil. He lets her think that. 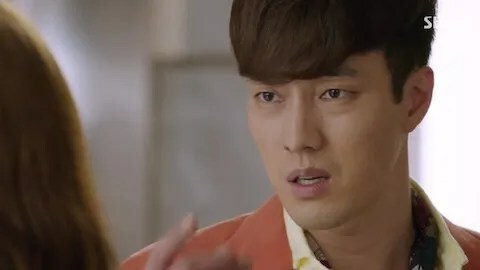 Yi-ryung wastes a breath on insulting Kang Woo’s pay: he has to catch the dog to earn a measly buck. So when she demands he walk her to her car, he turns it around and tells her he needs to find the dog to get paid. Heh. I love how everything backfires on her. Something evil watches her. Yay! A man with a gun hides in a rack of clothes and checks out Yi-ryung. He attacks her and stares at her bare shoulder. 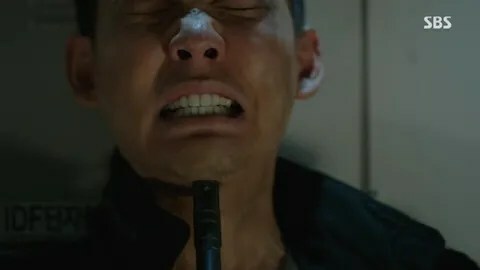 Then he runs off when Kang Woo comes to save the day. I really don’t know why he attacked her. Did he want her wallet? I think so since the camera focused on it. Deeno: I’m not sure. It was a really dumb move on his part. Raine: The attacker runs away and is followed by the dog ghost who barks up a storm. He escapes by the inept Sneaky and flees the mall. Sneaky seems to remember the guy, Hyung-chul, as a former worker. Kang Woo has to carry wimpy Yi-ryung to the hospital while Gong-shil makes friends with the red-eyed doggy ghost. Deeno: Dong-ah’s dog! Finally killed. Raine: You finally brought that up. Poor, poor puppy. At least she was safe in Wild Romance. Deeno: It took me a while to remember the name. Raine: Don’t worry, puppy. I’ll resurrect you! Deeno: Then I can kill you again! Raine: *sighs* Let’s just stick with ghost Doggy for now. Raine: There was no dog found and Uncle feels stupid that he was probably bitten by a human and not a dog. Kang Woo listens in as Gong-shil reports there is a dog and presents the ghost dog: a cute German Shepherd. She describes the dog who barks when they read the name on the collar. Master guesses that the owner of the dog must’ve really loved the dog to carry the collar on him. The news tells us that the Hyung-chul is an army deserter who asks his dead doggy what he should do. Doggy hears the pleas and Gong-shil wants to follow him. Master stops her with his hand and Doggy disappears. She scolds Master for doing that, but he is worried what would happen to her should he follow the man. Master thinks she’s gone crazy trying to please Kang Woo. Hehe I like that he’s so jealous AND that he calls Kang Woo “Sweet Candy Kang”. Hehe. You bitter, bitter man. Deeno: Bitter and adorable! Like…lemons? Deeno: Beans are evil, but I can’t think of many things that are bitter. Raine: She’s all happy he’s worrying for her instead of sending her on dangerous missions and her smile makes him even crankier when he finds he likes it. Then he charges her for touching his arm. Hehe. 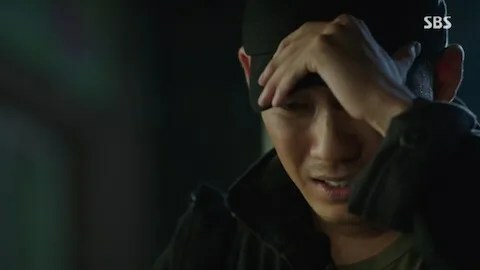 Raine: Kang Woo has Sneaky check the security footage for a dog, but there is none. He confronts Gong-shil about it and she lies that she used the word for dog “kae” but she was using it to mean the pronoun “he/she”. She doesn’t have the confidence to tell him she sees ghosts after he railed about ghosts on the roof. Then he asks what she was hiding – she holds out the broken lollipop in shame. She didn’t mean to break it and feels terrible. With an apology, she runs away, leaving him feeling like dog poop. Kang-woo reports that the attacker wasn’t targeting Master and then he finds Gong-shil on the roof to make amends. He apologizes for his tantrum over ghosts. As it turns out, he’s afraid of ghosts. He saw a lot of death in combat and suffered from nightmares. He needed therapy for it and thinking about ghosts is very hard. She assures him there are no ghosts around (which at the moment, there really are none). He tells her to not worry about the candy because it’s supposed to be broken and eaten. He gives her the half on the stick and enjoys the free floating half. It’s a really cute scene. Deeno: Too cute. I thought it was another dream sequence. Raine: But…but…it was so cute! Raine: Master meets Doggy and then the Wonder Girls’ “Nobody” starts to playing and 5 girls appear and do the dance. The doggy start barking and Master is super confused…until he realizes he’s dreaming. HAHAHAHA! Deeno: Master asks Janitor to chase after the dog, but she doesn’t want to anymore. He insists especially when the ghosty dog starts dancing when he plays the Wonder Girls song. Raine: *sings* I want nobody, nobody, but CHU! I want nobody, nobody but CHU! Deeno: Unni, you’re scaring me. Deeno: *cowers in fear* Seriously, I think living in a musical would be the creepiest thing ever. Deeno: Poodle gives Security tickets to thank him for helping her and tries to turn it into a date. He refuses the date, but takes the tickets despite all her protests. Raine: Hehe, foiled again! Yi-ryung, if you have a nickname like Poodle, you realize you will never get the man. Deeno: You have a very good point there. Security asks Janitor on a date after he catches her talking to ghosty dog. She agrees, but then she has to deal with a prickly Master first. He drags her around and orders her food for her and refuses to talk about Hee Joo. Raine: He just wants a reason to hang out with her. He’s so cute. Deeno: He’s totally trying to make her miss her date by being persnickety. Raine: It’s totally gonna work. Deeno: Of course it is! This is Master! Deeno: The dog leads them to a store and they find out the dog belongs to Military Guy and that he ran away from the army with a weapon! Yes! Yes! YES!!!!!!!!!! Raine: Wow. That was a lot of excitement right there. Raine: I like bows and arrows. I shoot recurve, but I guess those aren’t really great to run around with unless you’re Katniss. Deeno: I shot one and got a pac man bruise. It was so pretty! Deeno: He plans to go down in glory and join his dog. His dog was the only good thing about military service, but when the dog outgrew service he was forced to euthanize the dog. That’s terrible! But AWESOME!!!! I laughed. A lot! Raine: Aw! That’s awful! I was so sad. Poor puppy! Deeno: It was so horribly cheesy and stupid. Deeno: It doesn’t even make sense. What kind of vet would tell the owner to euthanize the dog on his own. I’d like it more if one of his superiors just shot the dog when it tried to defend Military. Raine: I have no clue because I don’t think that would happen in real life, but I was sad. And shooting a puppy is sad, too. Now I’m sad. I don’t want to think about dead dogs anymore. Where’s my Timmy? I need a hug. Deeno: Master calls the police and tells her to leave, but Doggy is crying. He tells her that she can ignore the ghost if she hold onto his hand. She can go home get dressed up and go on an ordinary date. She can’t and goes back in. Raine: AWW! Master, you da best! Deeno: I love how she’s reaching the point where she can cope without him. Raine: Yup, she’s opening up to the world again. Deeno: Military tries to kill himself, but ends up misfiring when something falls on him. Everyone in the store hear the gunshot as well as Master. Janitor is shepherded outside, but Master ends up face to face with Military. He calms Military down and gives Doggy’s message to Military in the place of Janitor. He does a good job and Military gets arrested and Master promises to give him his job back if he doesn’t get into more trouble. Deeno: Janitor finds out that Master can’t read when he asks her to sign a document to say he’s safe and unharmed. He tells her that when he was kidnapped he was forced to read books about people being killed and since then has been scared of words. She wants to fix him, but settle for reading to him instead. Raine: Plain ol’ acceptance is always good for a bruised chaebol soul. Deeno: Kiddos take the evil smiling doll back home. Deeno: I do not like the creepy doll and I’m annoyed that they didn’t got with that story this time and went to a dog ghost! Seriously? Raine: The dog ghost was ALL about the puns. They were cracking dog jokes everywhere. 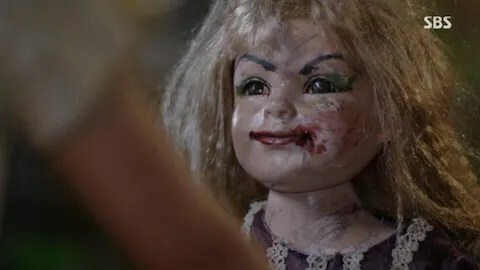 The doll is definitely going to come into play next episode. I don’t know if I want to watch. Deeno: I’m excited and I blame my Doctor Who marathon. Deeno: Poodle stops by the theatre to see who Security is meeting and ends up overhearing him plotting. Wait! She’s supposed to be inept. I like her inept instead of poisonous. Bad poodle! She confronts him about it. Raine: Watch her still remain inept because she doesn’t know what to do with the information! Deeno: I wish I could hope for that, but I don’t trust the Hong Sisters with second leads. Deeno: Master sits next to the sleeping Janitor and thinks about whether holding her hand would really help him read. He looms closer to her face. whats the song during the time the ghosts surround the both of them, clapping? First the dog..I sure hope they don’t really do that!! Most US military dogs, unless too old to function, are allowed to retire with dignity. I was so freaking mad about the whole thing, I would have went off too. It was a pretty funny ep up to those two scenes. Who can’t help but love the cantankerous Master! ?